We deliver excellent logistics solutions that meets all levels of complexity, matching service profiles attuned to both market and industry needs, while constantly tweaking the solutions to provide you with absolute value as business and operations dynamics evolve. Today's Integrated Logistics is increasingly becoming more complex and fragmented. Heavy competition and unstable markets coupled with highly demanding needs add to this complexity. At CJ Century Logistics, we sit down with you to tailor solutions that will link these multiple levels of complexity, stitching together service profiles that will meet both market and industry needs required for the long term, constantly tweaking the solution to provide you with absolute value as the business and operations dynamics evolve. Improved Customer Service levels that are measurable through robust KPI management and comprehensive reporting matrix's. Cost Savings through process driven efficiencies that will speed up or slow down your supply chain as the need maybe thus freeing up space in warehouses, time spent on water/air or land and therefore getting your goods to the right place at the right time. Simplification and not Complication; This is necessary as complicated processes lead to mistakes and mistakes are expansive. Visibility of your Supply Chain through our online modules; track and trace and inventory visualizer. Our Experts are here for you, having both Local and Global knowledge. 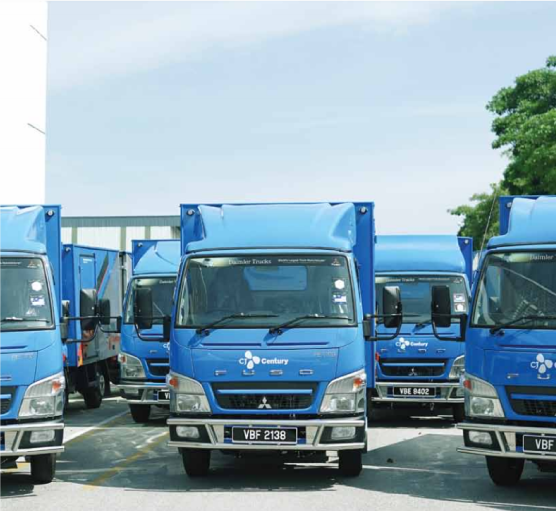 Our comprehensive global network of partner offices (we have been a member of the International Freight Logistics Network since 2008) coupled with our domestic presence in Port Klang, KLIA, Johor Bahru, Port of Tanjung Pelepas, Kota Kinabalu, Bintulu and Kuching assures you of our capabilities to serve your global logistics needs. We have a long standing professional partnership with carriers for both air and sea, ensuring full and complete coverage of your entire logistics needs from and to virtually any location globally. 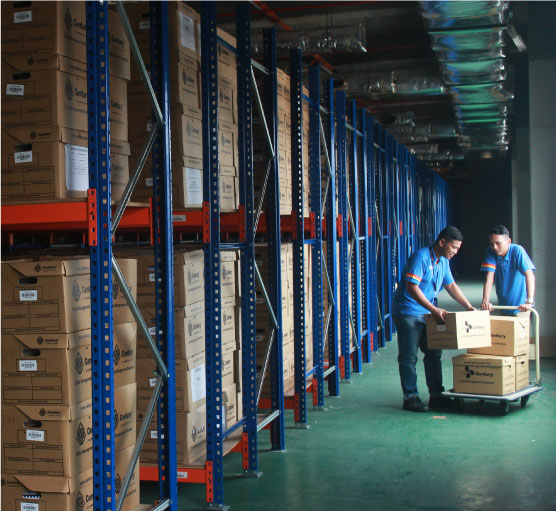 Our abundant storage capacity is capable of meeting all your storage and distribution requirements, while our Warehouse Management System delivers real time visibility on all inbound and outbound movements, order status and performance measures. We have the expertise, equipment and network to handle any Ship-to-Ship operation safely and seamlessly in accordance with international guidelines and regulations. Every ship to ship transfer operation is carried out in accordance with the guidelines set out by the Oil Companies International Marine Forum (OCIMF) latest edition, International Chamber of Shipping (ICS) as well as by the International Maritime Organization (IMO) with strict adherence to safety regulations. 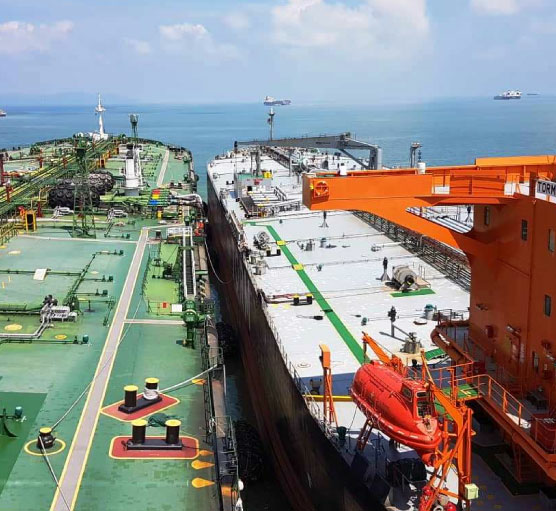 Our ship to ship transfer operation is offered in the waters of Port of Tanjung Pelepas, off Malaysia's Southern coast. All operations are handled by trained and experienced personnel to ensure safe control. We also provide all necessary equipment such as hoses, fenders and support craft, as well as full back-up services including standby-tugs, Emergency Response Equipment (ERP) together with a full set of experienced and well trained staff to handle any sort of emergency, equipment transportation and 24-hour communications. We contract assemble a wide range of electrical and electronics home appliances including LED TVs, air-conditioners, washing machines, refrigerators, freezers, vacuum cleaners as well as microwave ovens. Our end products are capable of meeting the highest standards in the domestic as well as international markets. 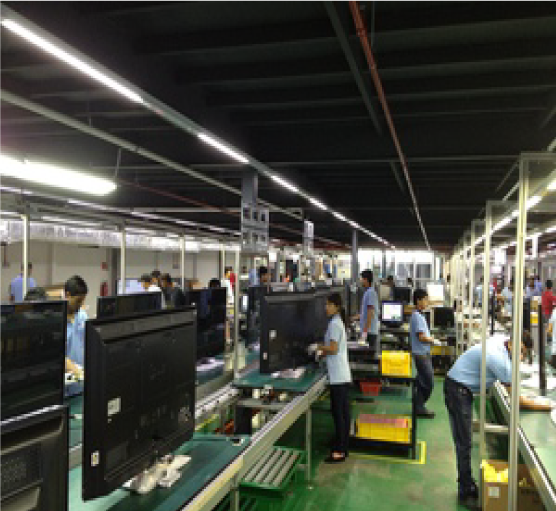 We have invested in advanced equipment and our manufacturing facilities are state of the art. Our professional and experienced engineers are on hand at all times to fulfil all our customers' needs, and are constantly striving to improve our production process. The intricacies of demand planning to match procurement and production schedules, and supply planning with order processing are the challenges our customers entrust to us. In today's competitive business environment, we are able to offer the flexibility to meet the demands of our customers, both domestic as well as from abroad. We provide customized solutions to meet the challenges associated with document management and data protection. Breakthrough data processing and storage benefits can be realized immediately, reliably and cost effectively. Whether you have active or inactive documents, there is always a need for additional space. We offer secure, efficient and affordable solution for off-site document storage and management services. Our large scale technical and project management expertise allows us to be the leader in Document Management. Document Scanning: We convert physical documents into non-proprietary electronic images. Data Management: The converted images can be mined and extracted to provide useful data. Digital Storage: We provide secure storage and easy access to data via the cloud. No need to worry about capital expenditures, IT maintenance, or software licenses as our digital storage services include providing secured online access to your data anywhere in the world, at any time. We provide a single platform for our customers to setup their own Intranet with a pre-installed Intranet System, Document Retrieval System and Data Management System. Our courier services extend our reach to last mile solutions. We have an extensive network and coverage area supported by the best infrastructure in order to provide fast, accurate and reliable services to you. We operate the GNEXS parcel system which is capable of providing online order, actual fulfillment and index management with data encryption, access control as well as real time tracking. This web-based track and trace system enables you to view the latest status of your shipment anytime. In order to further set our services above the rest, we offer the highest level of premium services in the industry. Pre-call Delivery: We call before all delivery attempts for a better customer experience and higher delivery success rate. 3 Delivery Attempts: We make multiple delivery attempts to ensure higher delivery success rate. Cash on Delivery: We offer cash on delivery service which enhances our merchants' base as their customers need not own a credit card to purchase.